You will find a wide range of slopes of varying difficulty for the whole family in Sedrun. Whether on skis or a snowboard - fun and action is guaranteed! 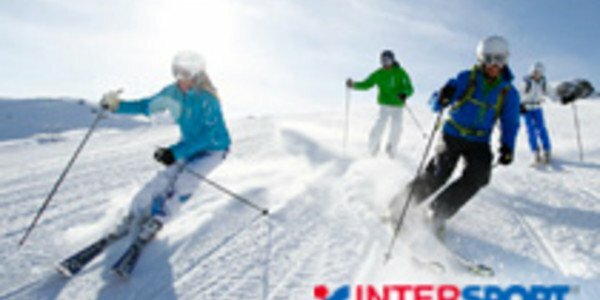 The proper equipment is provided by INTERSPORT Rent in Sedrun. Here you will find everything around ski rental, excellent ski and snowboard models and best advice by winter sports experts. The resort Sedrun offers the opportunity to choose from the wide pistes of two ski resorts in Grison: Wide slopes on different levels and degrees of difficulty are available in Sedrun-Oberalp and Andermatt-Gemsstock - those can be explored down to your whim by only one lift pass. You want to enjoy a family ski trip with children in Sedrun? Then the Snow Valtgeva is perfect for you! Here you will find a well-manageable slope, the ski school and beginner garden, which offers a tubing run and a 143 meter conveyor belt - the perfect conditions for your youngsters who are not sure on skis or snowboard yet. Need ski gear for your ski holiday in Sedrun? Then come to one of the two ski rental shops of INTERSPORT Rent. 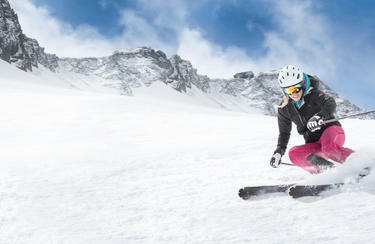 Select first-class ski and snowboard models and enjoy excellent advice by winter sports experts.